When looking for a perfect gift to tell Mum just how much you love her, you need something that says it all. We have with care arranged beautiful germini flowers in a heart wooden case. 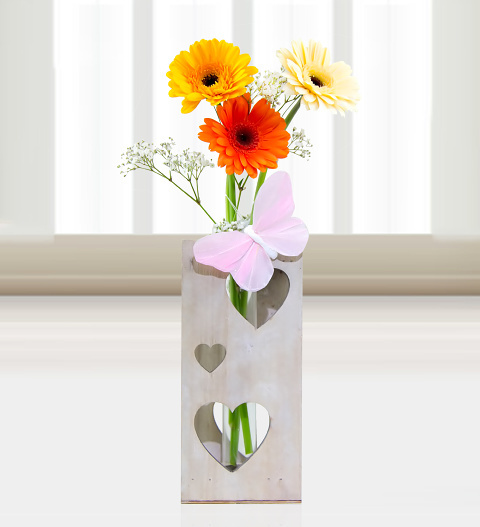 Presented in a cylinder vase, the gift is arranged with a pink butterfly to compliment this gorgeous styled gift. We have also included a free box of Valley handmade chocolates to make her day that more special.